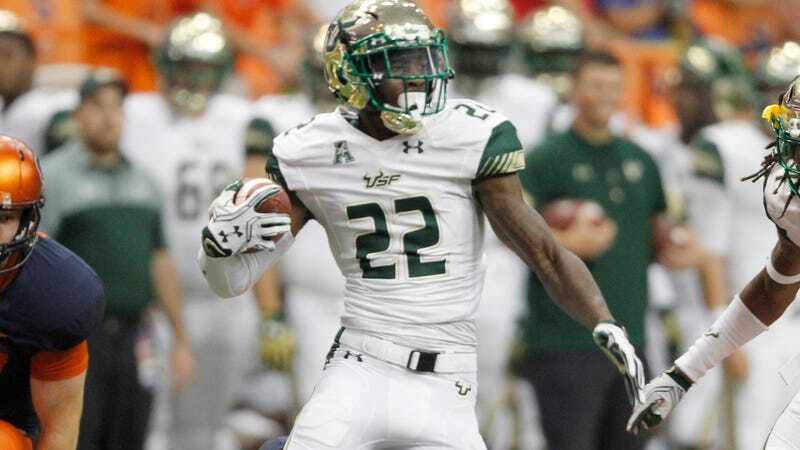 South Florida defensive back Hassan Childs was shot three times in a road rage incident after reportedly pulling a gun on a man and his family Saturday night. The 22-year-old fifth-year senior is recovering and in stable condition. According to the Tampa Bay Times, it’s unclear how the disagreement began. It ended with Childs and Jovanni Jimenez, 26, in the parking lot of a Tampa apartment complex. (It is unclear whether Childs and Jimenez knew one another prior to last night.) Childs allegedly pulled a gun on Jimenez, who was accompanied by his wife and child. Jimenez then pulled his own gun and shot Childs three times in the upper arm and torso. He has claimed the shooting was in self-defense. Hassan will be a fifth-year senior next year. He practiced with the team on Saturday afternoon before the shooting Saturday night.